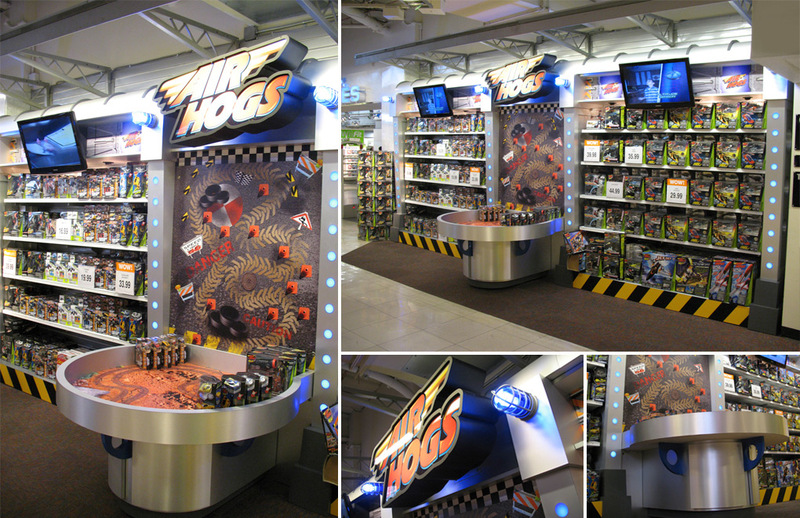 Air Hogs is an elite toy line of planes, rockets, helicopters, and land vehicles that is constantly expanding the boundaries of control, performance and play. 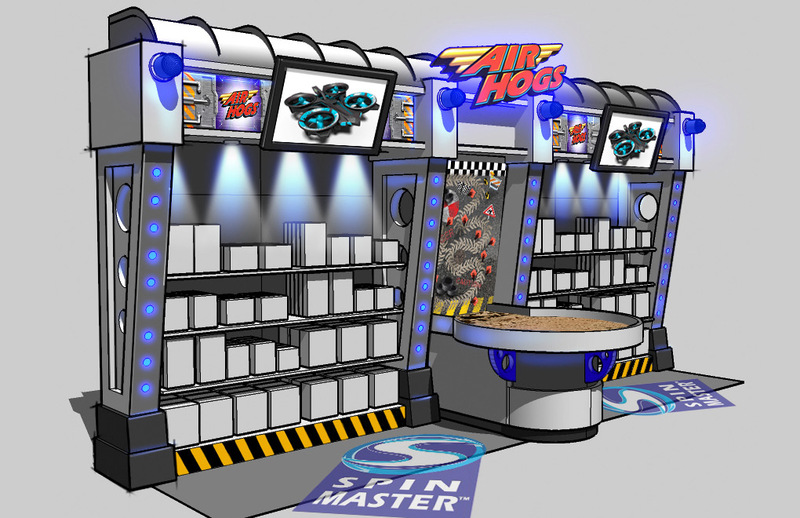 We were asked by Spin Mater to develop a new futuristic interactive display for the Toys R Us location in Times Square, New York City. The end result produced an ultra-cool display that not only caught the attention of the shopper, but engaged the guest in a hands on purchasing opportunity.